Plenty to see at Donington BTCC! Visitors to the Donington Park round of the Kwik Fit British Touring Car Championship can not only look forward to incredible action on track, but plenty of family fun off it too. All visitors will be able to take part in the free of charge pit walk and autograph session at 1pm on Sunday afternoon. 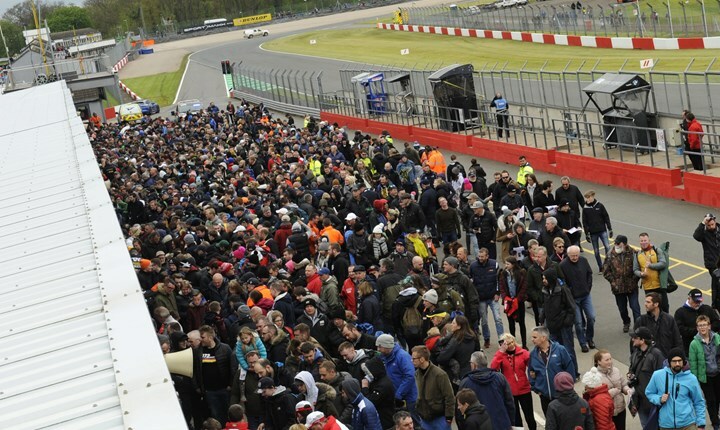 The pit walk will allow fans to get autographs and selfies with their favourite drivers, while getting a close look at the goings on inside the BTCC pit garages. In addition, a wide range of manufacturer and trade stands will ensure there's plenty to look around, especially with the increase in volume of big name sponsors on this year's grid! For those staying late into the night on Friday and Saturday evenings, there will be music inside the Garage 39 restaurant, café and bar, which will stay open with food and drink available throughout. The musical offering will appeal to those staying the full weekend on Donington's popular infield campsite, which will open its gates at midday on Friday 26 April. For anyone looking to make a weekend of it, this is the perfect way and at excellent value too, especially with easy access to the viewing areas. Of course it's not just the BTCC that will entertain on the track. The popular TOCA package will ensure there's plenty of variety, with sports car action courtesy of the Ginetta Junior Championship, Ginetta GT4 Supercup and Porsche Carrera Cup. Tin top thrills will come from the Renault UK Clio Cup, while F1 stars of the future will do battle in the F4 British Championship. Tickets are available in advance from £28 while children aged under-13 go free of charge all weekend. For more information click here or call 0843 453 9000.